Clementine used to belong to the Courage brewery estate — a fitting mascot for the students of the Royal School of Mines who are very fond of the more than occasional tipple. Clementine is a 1926 Morris ‘T’ Type one-ton truck. Gil Street, Steve Pick, and Ian Plummer riding Clementine I on Prince Consort Road with Exhibition Road in the background. 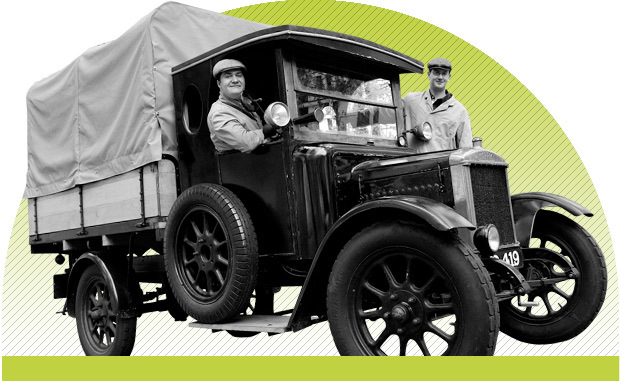 The first Clementine was a five-ton Aveling and Porter steam traction engine. For fairly obvious reasons — need for a boiler certificate, extreme size, potential skin-scalding insurance nightmare, and so on — the Aveling and Porter became impractical, so she was replaced in 1960. At manufacture Clementine II was fitted with a ‘general utility’ body consisting of a flatbed with dropsides, a canvas tilt and removable bench seats on flatbed for use when carrying passengers. 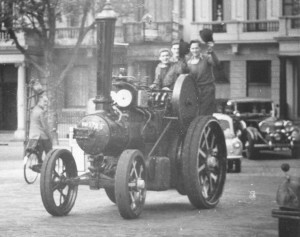 Clem II was first registered on 13 October 1926 by Mr E.R. Courage of Edgcote, Banbury, Oxfordshire of the brewery estate bearing his name. At the time Mr Courage was moving estate from Essex to Edgcote. Clem was used to transport his belongings between the estates (a 220-mile trip). Later she was the used for general duties on the Edgcote estate until 1946, when she was returned to the Essex estate. There she remained until 1957. 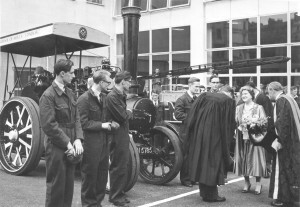 Her Majesty Queen Elizabeth the Queen Mother inspecting Clementine I as Ian Plummer, unknown person, Steve Pick; Mike Rutter (President of RSMU, with his back to camera); and Rector R.P. Linstead greet her at the opening of the Roderick Hill Building 7 June 1957. In 1957 Clem was moved and stored at Sheringham Hall, Sheringham, Norfolk, under the ownership of a Mr Fitzpatrick. Not much is known about Mr Fitzpatrick or how he came to own Clem, but it is known that he kept her as part of a vehicle collection and offered her to a friend for regular use. Meanwhile, back on campus, the RSM began looking for a new mascot. Students heard of a Morris in Norfolk and two students were despatched to see her. 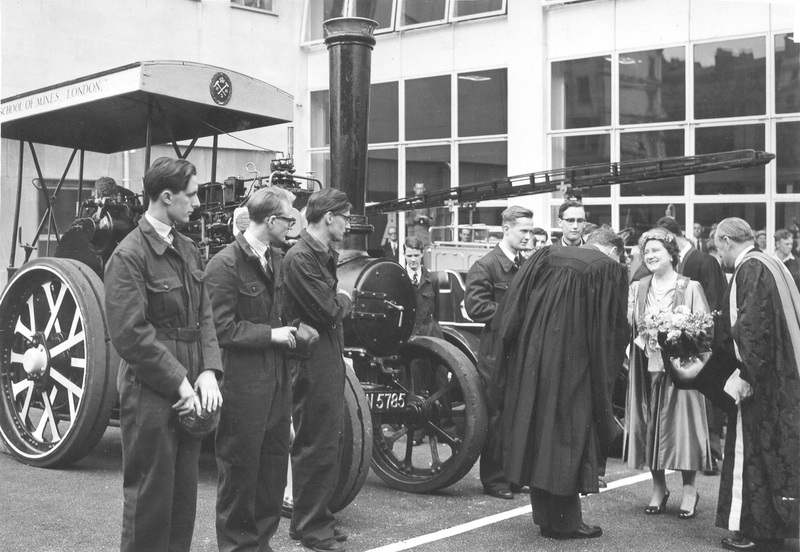 It was decided that the lorry would be ideal for the RSM. 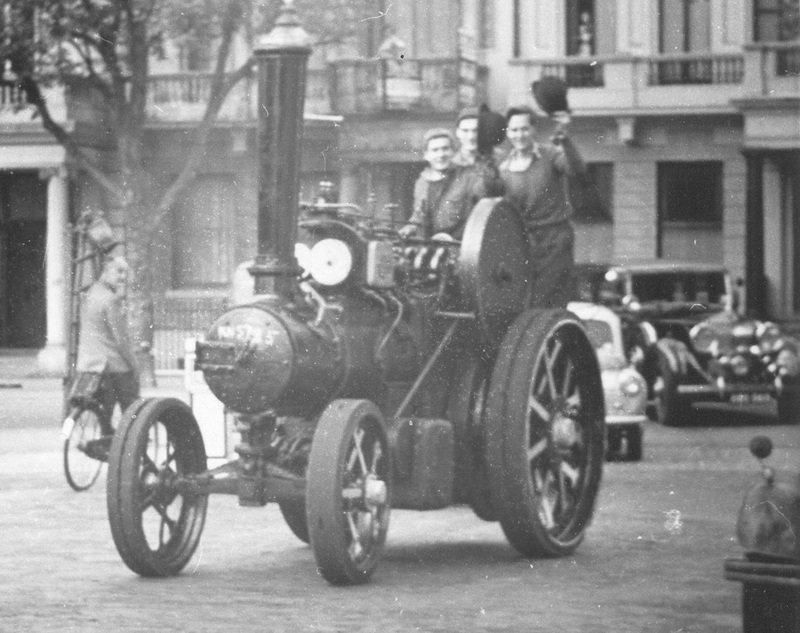 She was bought and towed back to London by a 1934 Ford lorry, becoming Clementine II, the RSM mascot in January 1960. Clem enjoyed healthy notoriety as mascot until students disassembled her for a complete overhaul in 1976. Unfortunately, the project lapsed and Clem was promptly forgotten. She might have been regulated to the dustbin of history but for a group of students more than 10 years later. They literally began the project sorting through boxes of parts. It took more than a year to straighten her rolling chassis and rebuild the engine, “an amazing feat as we later discovered that the ignition timing was 15 degrees advanced and there was no main jet in the carburetter,” wrote Stephen Laing, a student at the time. The next step was the cosmetic work. The paint was kindly donated by Joseph Mason plc and applied by us. Most of Clem is original although a fair amount of the flatbed has had to be replaced due to rotten wood. The replacement pieces have been built to her original ‘general utility’ specification and it is hoped to build seats and a canvas tilt to complete the ‘general utility’ body. The students of RSM have made Clem’s predicted restoration possible and her popularity continues. Every year Clem participates in the Historic Commercial Vehicle Society’s London to Brighton Run, as well as the Veteran Car Club run. Clem spends most of the summer touring southern England at vintage vehicle and steam rallies, so don’t forget your tents! Clem is the only mascot violated by her own constituent college! Never, after Clementine was heroically rebuilt by RSM students in 1987. Every year Clem participates in the Historic Commercial Vehicle Society’s London to Brighton Run as well as the Veteran Car Club run. She collected her MOT certificate in 1987 after being completely rebuilt. Her 140-mile test drive between Axminster in Devon took 10 hours! It was a hot day and several stops with water were necessary. Does one’s involvement with Clementine work as a pick-up (line) in addition to a pick-up truck? Share your comments below. Three cheers for Mines! I was a working partner on Clem 1, and also custodian of Mitch for a while. Please send me an e-mail address and I will send you photos of both, including the Queen Mother inspecting Clem 1. I was at Mines from 1955 to 1960 (BScEng in Mining, then a DIC). I had the honour of being elected RSMU Hon Sec in 1958-9, and ICU Hon Sec in 1959-60.